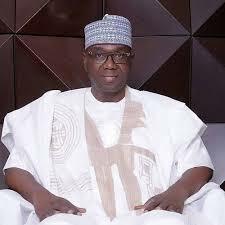 Eruku community felicitates with Kwara governor elect Alhaji Abdulrahman Abdulrazak – Royal Times of Nigeria. 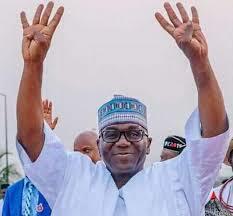 The Owa of Eruku, Oba Busari Ayinde Olarewaju, Eruku Progressive Union and the entire indigenes of Eruku have congratulated Kwara state governor-elect, Alhaji Abdul-Rahman Abdulrazaq, all newly elected national, and state assembly members on their recent victory at the polls. In a statement made available to newsmen in Ilorin, the Kwara state capital, the community prayed that the Almighty God will continue to guide them as they mount the leadership of Kwara state government. In a similar development, the All Progressive Congress, Eruku ward has described the victory of the governorship candidate of the party as a reflection of people’s desire. The Party faithful during a chat with newsmen said that they are not surprised by the outcome of the election because of the wind of change blowing across the length and breadth of Kwara state. To this end, APC, Eruku Ward expressed gratitude to the electorates in Eruku and the state at large for supporting the party in the elections. They also urged the incoming government to ensure it lives up to expectations and be sensitive to the cry and requests of the electorate.